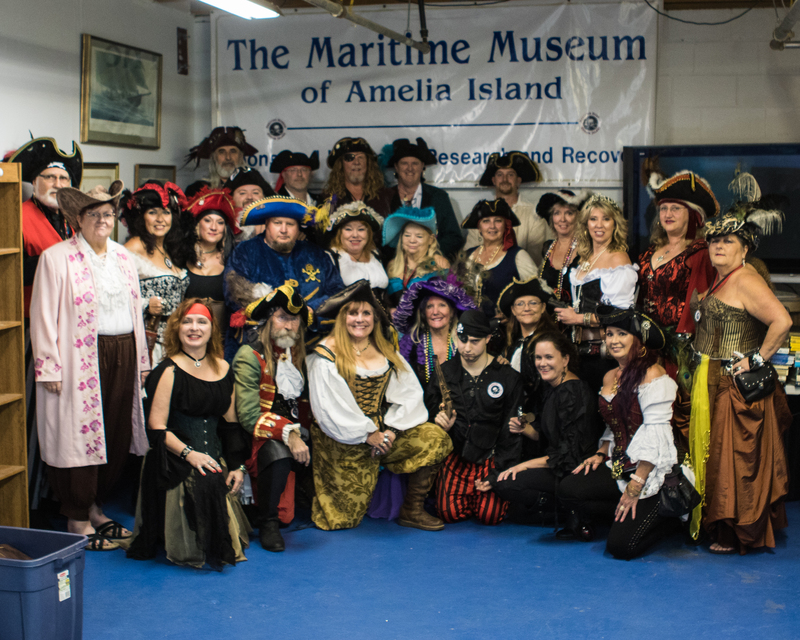 Current Members Fernandina Pirates Club | Fernandina Pirates Club, Inc.
Getting’ down in a pirate town. 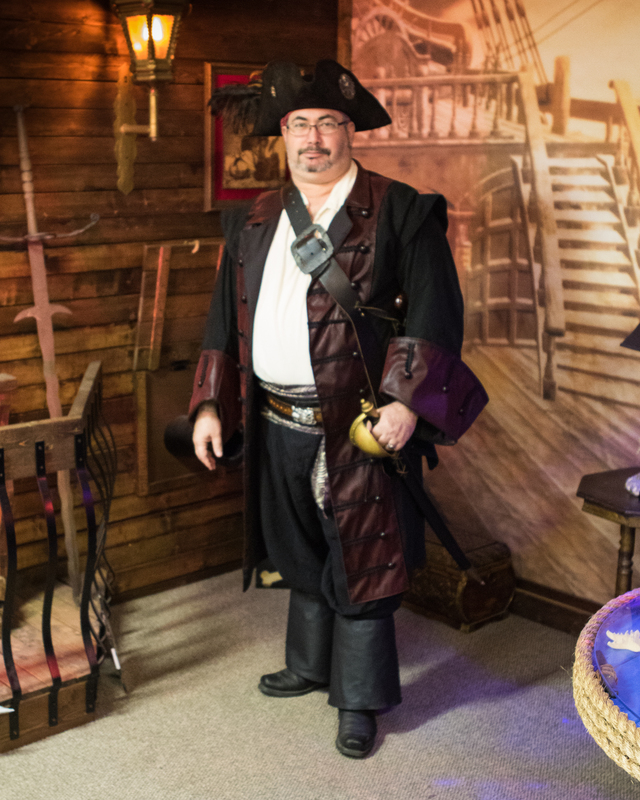 They call him The Rumrunner, but the name is Steven B.; held captive to the evil corporate pirates for centuries. Escaped with only one eye and traded it all in for another world, a pirate flag and an island girl. His friends back home think he has gone and lost his mind, but take a little sip of that sugarcane rum and you are gonna know why. He spent his whole life roaming around ’til he headed on down to the Eastern Shore. He felt the sand beneath his toes, sailed the waves and plundered the coves, like pirates did 200 years ago. 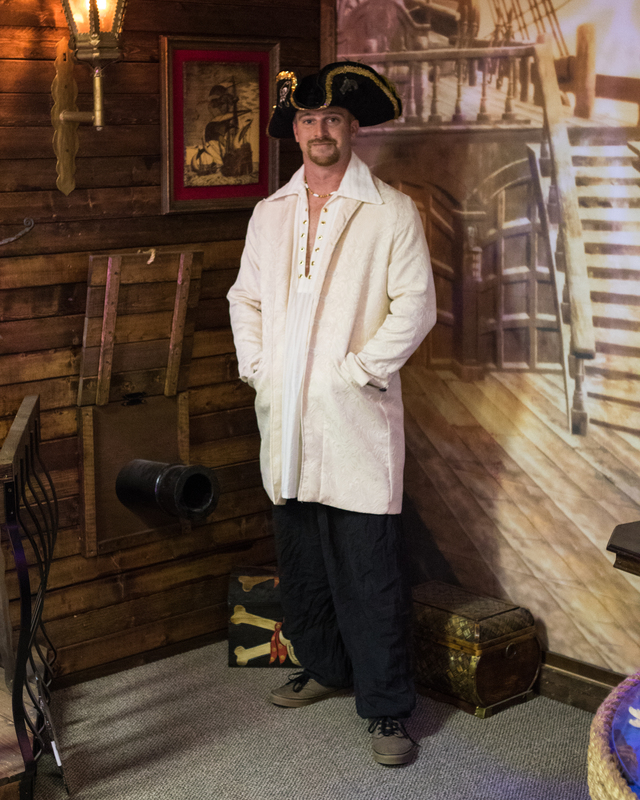 Some say he has gone Caribbean crazy chasing the ghost of pirates and sipping rum in the island state of mind. Nothing to mark the time but the crash of waves and swashbuckling with THE PIRATES! So everybody raise your glass to the to the golden age of the past. Yes, he is a pirate 200 years too late. Born in Jacksonville, I grew up on the island that I love, Amelia. That’s why they call me the Island Girl. I am the daughter of William J. Phillips (Jacksonville) and Janie Thomas (Fernandina Beach), and I graduated of FBHS Class of 1979. Some of my attributes are: Supervisors Secretary of Attendance for the Nassau County School Board and President of the Nassau Educational Support Personnel, NEA Leaders for Tomorrow graduate class of 2010, Executive Board member for the Florida AFL-CIO, member of the Order of Eastern Star, Past Worthy Advisor of the Order of Rainbow for Girls, member of Blackrock Baptist Church and Reunion Chair Person for the FBHS class of 79. Being a mother has been one of my greatest joys. I have one son, (the jewel of my life) Wyatt Lee and his wife, Amber. 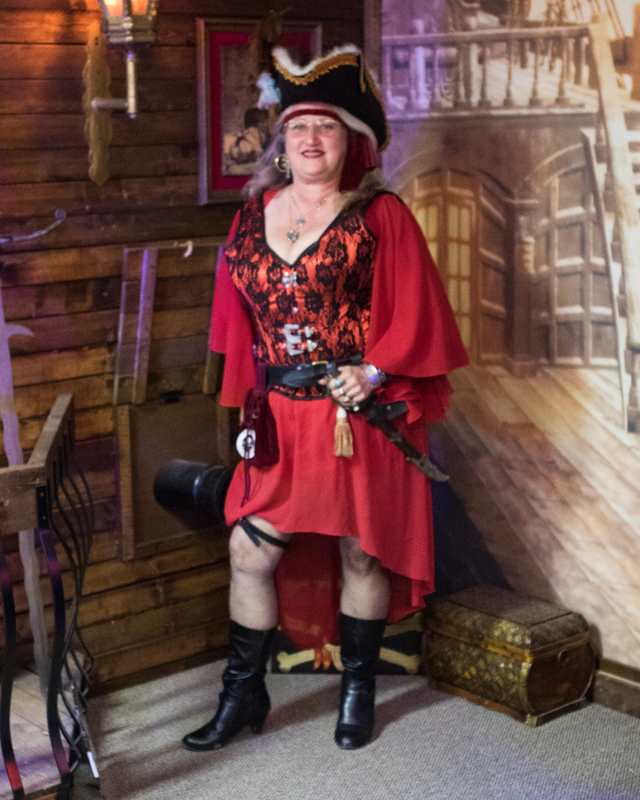 Being a Pirate comes natural for me. Born the day before Halloween, I’ve always loved to dress up and be someone different if only for one day. 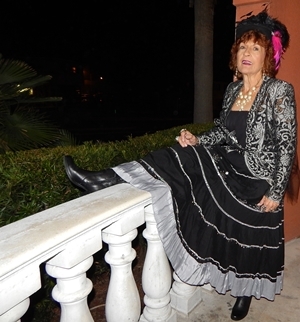 My hobbies include: Professional Photographer for 35 yrs, singing, sewing, dancing, and living life to the fullest. If I had to pick one event in my life that was a WOW moment, it would be 2 years ago when I finally got to meet President Jimmy Carter. This has been on my bucket list since I was 18 years old. The photograph from that day is a treasure I hold dear. OH It’s GREAT to be a FERNANDINA PIRATE!!! 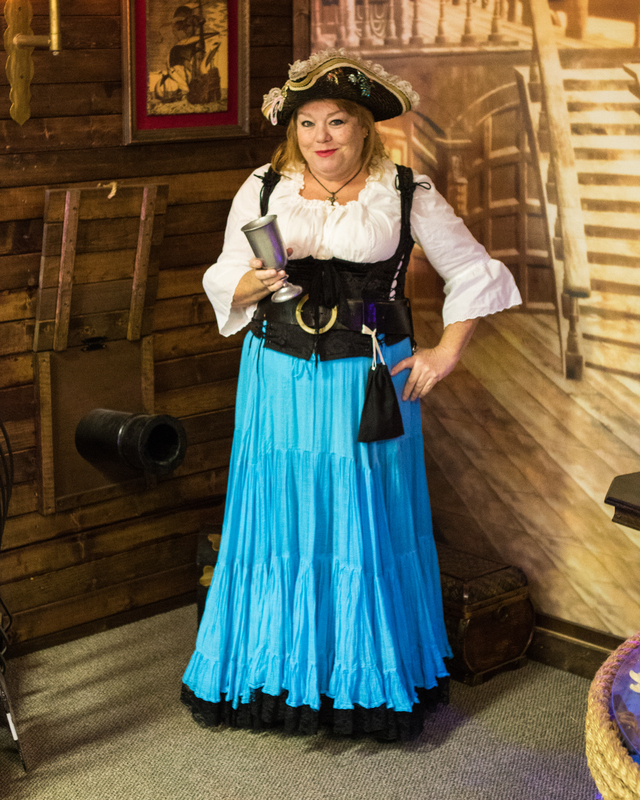 Pam Kittrell Smith is our fun-loving, kissing Pirate known as Smoochie. 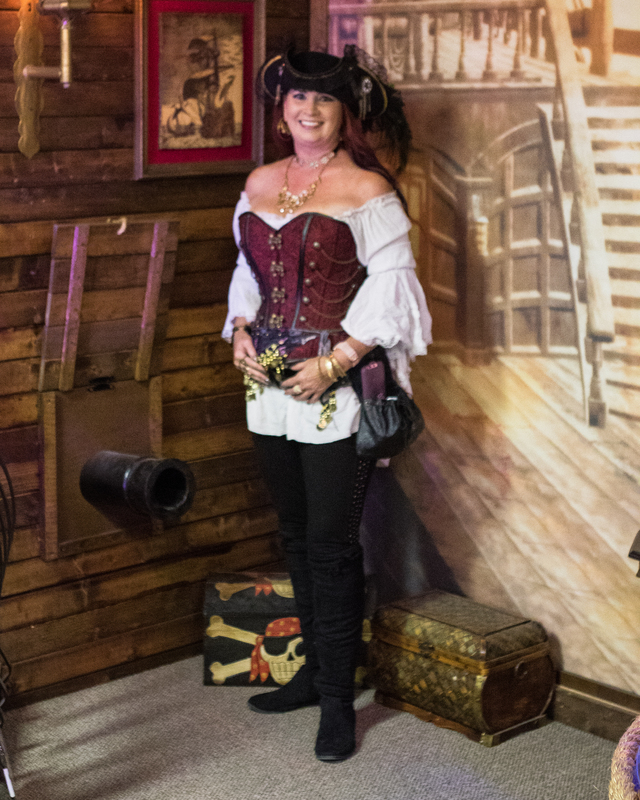 Often dressed in purple, I can just about guarantee that if you’ve ever met this lovely Pirate Wench I’m sure she left you with a lipstick stained, positive impression! It seems she has always been a Pirate, born and raised on beautiful Amelia Island. Smoochie is a Veteran of the United States Army and had the opportunity to audition for the US Army Band. She has other talents, too. She is a member of the “Four Fine Female Fishing Team” and she loves those Florida Gators! Linda is a retired kindergarten teacher from the Akron and Cleveland areas of Ohio. 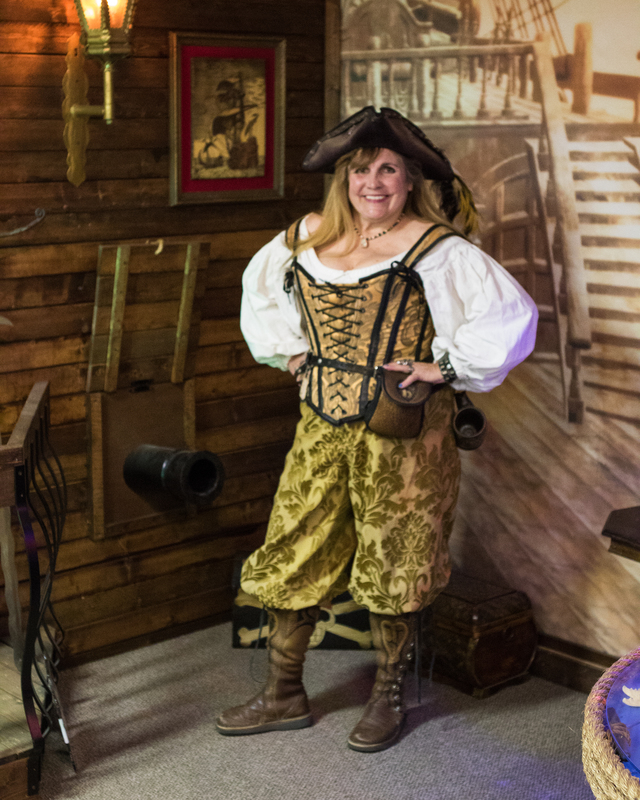 Her love for fun, games, adventure, and playing dress-up obviously never ended, and now she can don the costume of a Wench and in Fernandina Beach, where no one thinks it is unusual at all! A volunteer for the Nassau Humane Society, Linda spends her time walking the adoptable dogs, and playing with the cats. She is a Cat Person, but not a Cat Lady – AND there IS a difference! 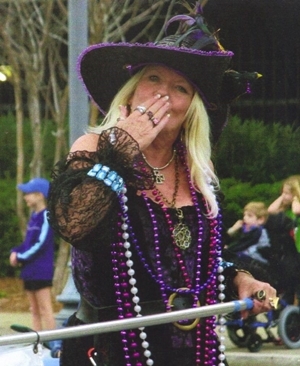 With family in the Northeast Florida, Linda moved to Amelia Island in 2006. 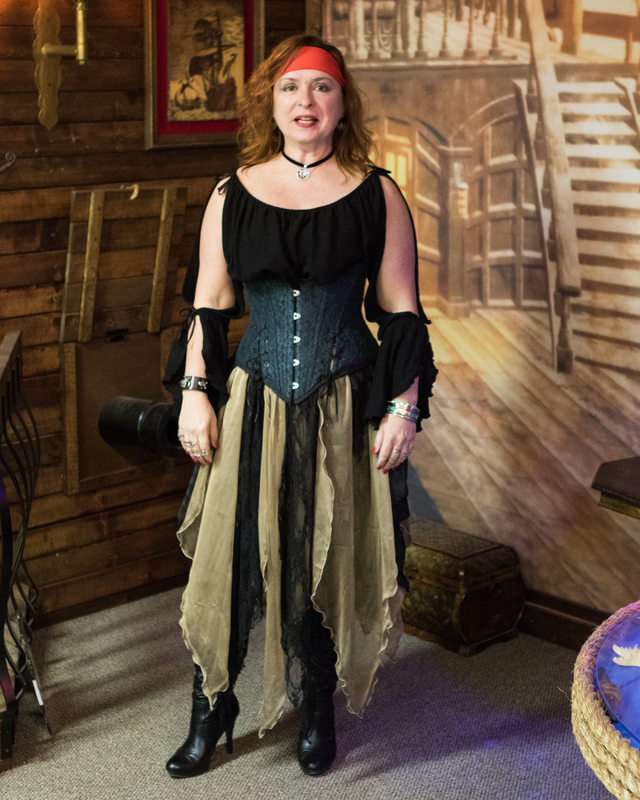 Trini the Temptress is a returning pirate. A member up until three years ago, she left the area and re-joined the ranks when she returned to the Amelia Island area. 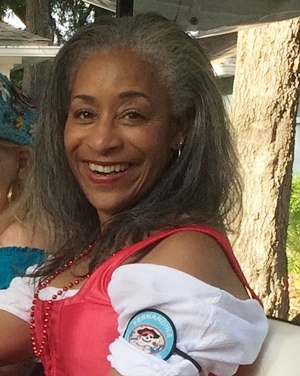 Originally from Trinidad and Tobago, she easily slides into her role as pirate blood runs through her veins. This twin island country is located off the northern edge of South America’s mainland, near the coast of northeastern Venezuela, and barely 80 miles south of Grenada. Bordering the Caribbean, Trinidad and Tobago are fortunate to be just outside of the hurricane belt. Like Amelia Island and her history of eight flags, the island of Tobago changed hands among Spanish, British, French, Dutch and Courlander colonizers, more times than any other island in the Caribbean. 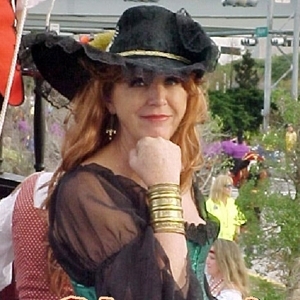 The Temptress enjoys the parades the pirates participate in, especially the Shrimp Festival’s Pirate Parade. She loves to socialize, so she finds working the booth and dealing with people a great deal of fun. Her upbringing in Trinidad and Tobago make her a natural “party gal” for it’s popular event Carnival, and the invention of the Limbo; these islands are also the musical birthplace of calypso, soca, Parang, and chutney. Dreadnaught is the name his mateys call him. But he also goes by Jeff Berbergal to all you land lovers out there. 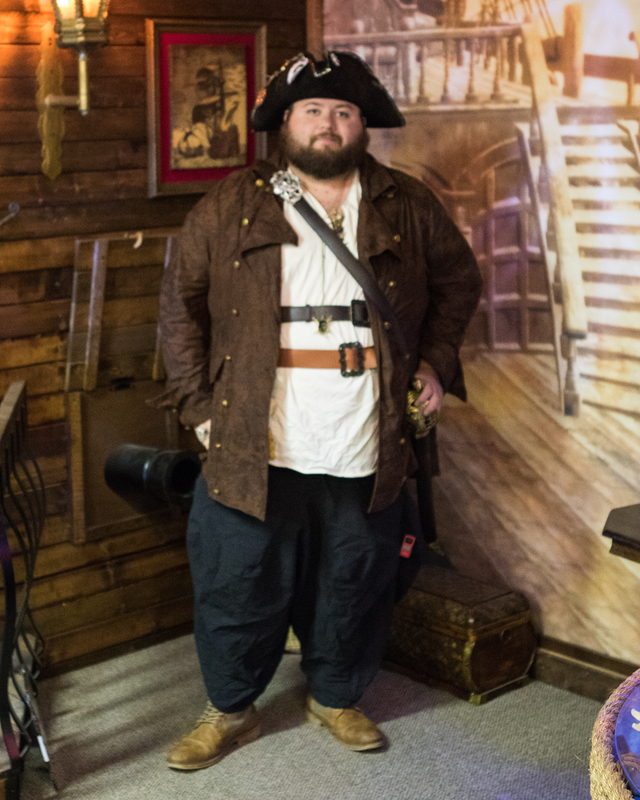 Dreadnaught has been a Pirate since 2017 and loves handling the loot so much that he begged, borrowed and stole to be the club’s treasurer. 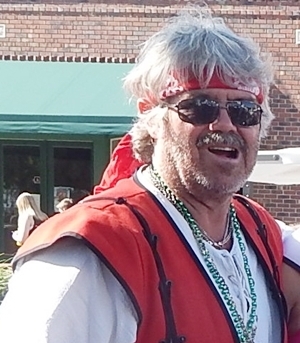 Larmac Dawg has been a member of the Fernandina Pirates’ Club since 1991. 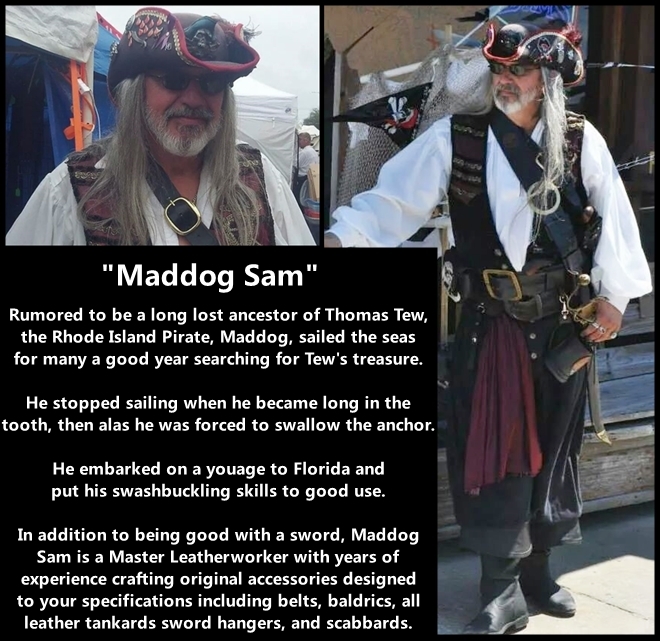 An avid Georgia Bulldog fan, his Pirate name is an obvious choice. 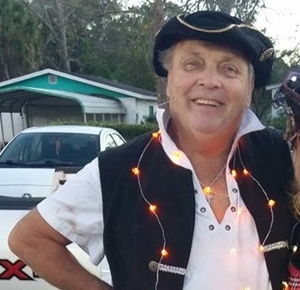 Married to the Lady Judith, the pair have three children who grew up being Pirates, literally, as all three graduated from Fernandina Beach High School, Home of the Pirates. Larmac Dawg enjoys long walks on the beach and reading romantic novels from around the world. When he is not brandishing a sword, you’ll find him perusing the isles shopping for his favorite “As Seen on TV” products. 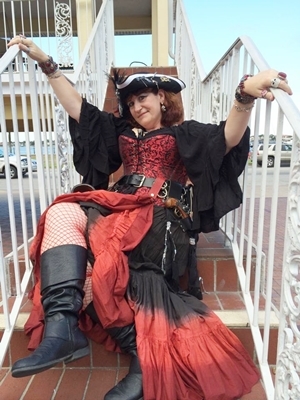 The Lady Judith has been Pirating in Fernandina Beach since spring of 1991. 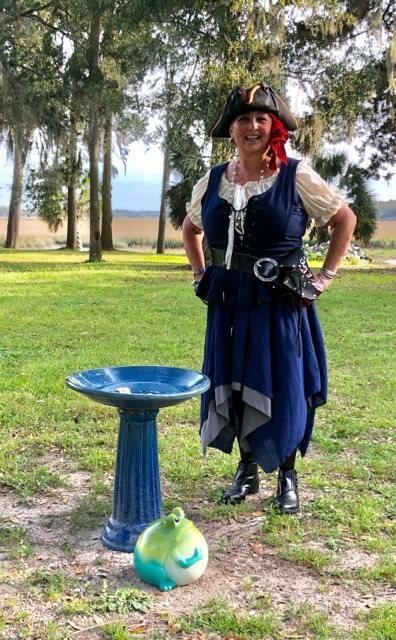 Community minded, she has held a variety of volunteer positions in community non-profit or not-for-profit organizations such as the Fernandina Pirates Club, the Fernandina Beach Middle School, Relay for Life, and the Isle of Eight Flags Shrimp Festival. She is a past President of the Nassau County Writers and Poets Society, has been Treasurer of the Fernandina Beach High School Band Parents Association, a volunteer for a variety of Nassau Sport Fishing Association events and was once a Chamber Ambassador with the Amelia Island Fernandina Beach Yulee Chamber of Commerce. 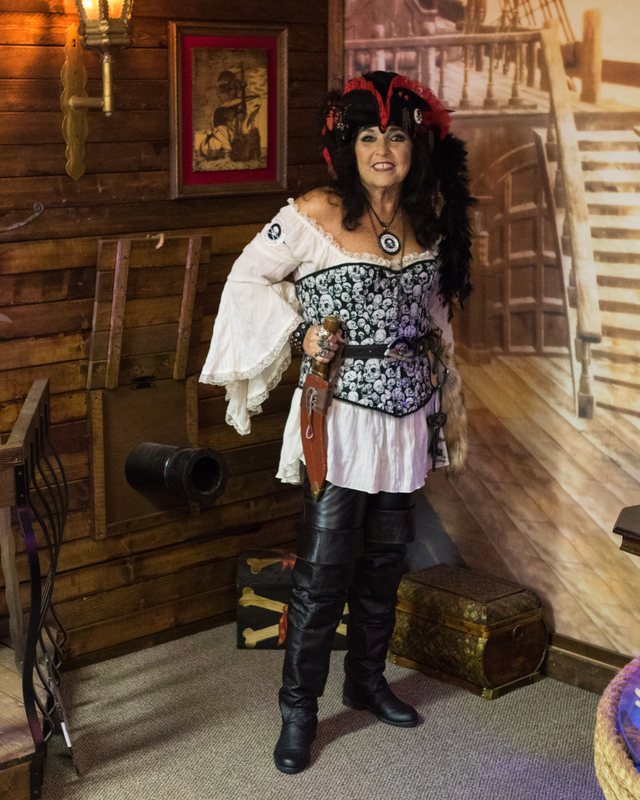 Married for over a quarter of a century… and counting, she has two daughters, a son, a granddaughter, three grandsons, and a new baby pirate is due in August. She is currently adjusting to life as an empty nester. She is an owner SearchAmelia.com where she writes about life in our lovely community. 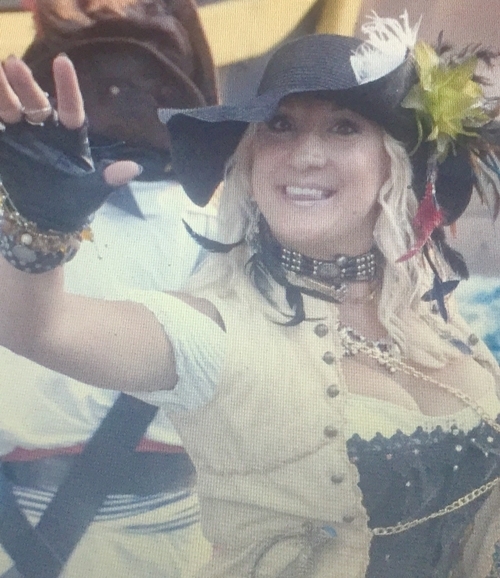 She also builds websites, writes press releases, and offers marketing and publicity consulting under Amelia’s Plunder… and in her spare time, she manages the Fernandina Beach Market Place farmers market in historic Fernandina Beach, Florida. She is married to Larmacdog. Mermaids were mythical aquatic creatures known through all manner of legends and lore. Half woman, half fish, these lethally-minded sisters of the sea rise up from the waves to lure men into their arms. Beautiful, conniving and dangerous, mermaids strike terror in the heart of sailors and pirates alike. 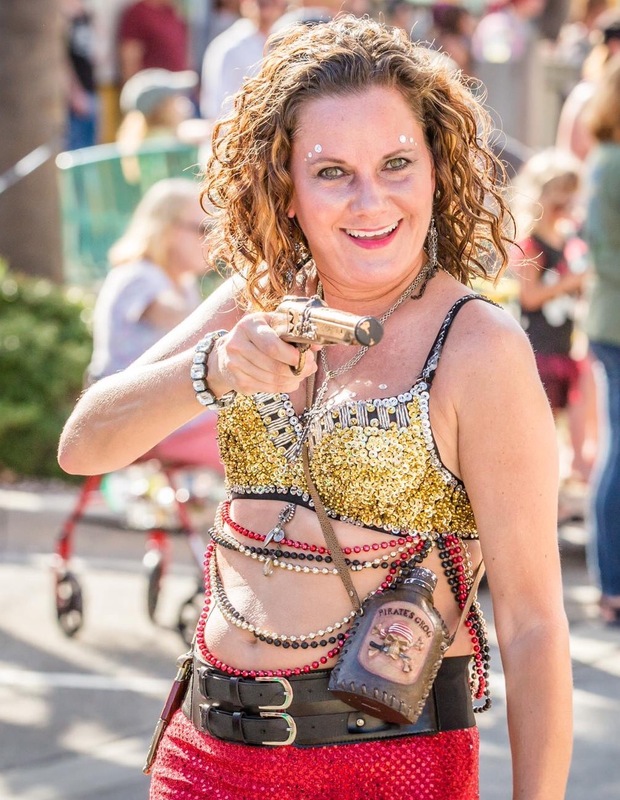 Siren creates mischief and mayhem wherever she goes with swashbuckling swordplay and a sharp wit… bedazzling one and all with her beauty and charm. 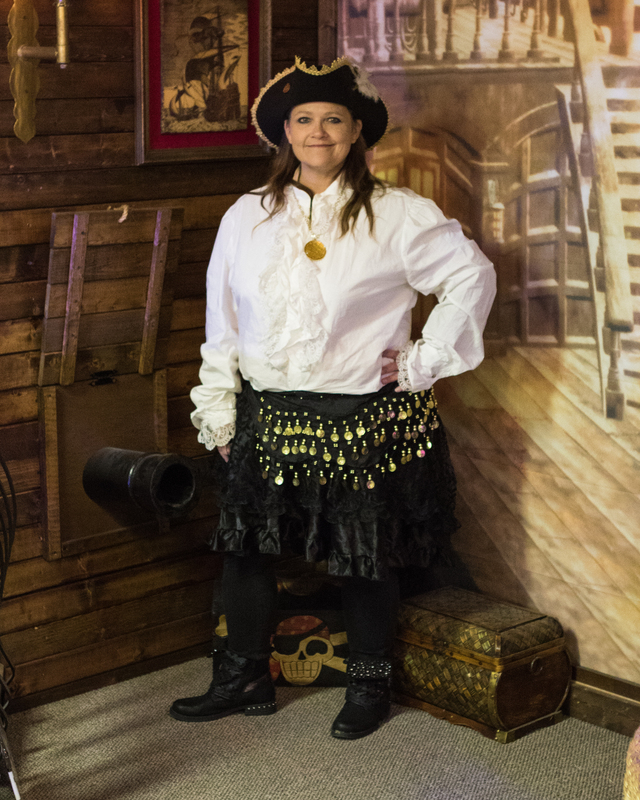 She has been a member of the Fernandina Pirates Club since 2008. 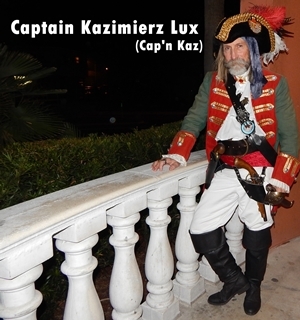 Captain Kazimierz Lux (aka Cap’n Kaz) was a real pirate! In fact, born in Warsaw Poland, in 1780, Captain Kaz was a soldier in Napoleon’s Foreign Legion at the age of 15. He was an officer by the age of 20, a prisoner of the British for two years and then, a PIRATE for over 15 years. Later in life, Lux returned to the Duchy of Warsaw as an officer and a gentleman and lived till a ripe old age of 66 yrs old. Most importantly, Captain Kazimierz Lux was truly the POLISH PIRATE OF THE CARIBBEAN! He and his crew of 60 sailed his ship the Mosquito reaping a bounty of booty! Being a proud Pole, Kaz sent part of his booty to Poland for the needy, invalids and fugitives from English prisons. Pirate yes, but he never forgot his community! Captain Kaz is proudly brought back to life by Charles. After retiring as the assistant superintendent of schools, he was happily able to relocate permanently to this paradise we call Fernandina Beach. 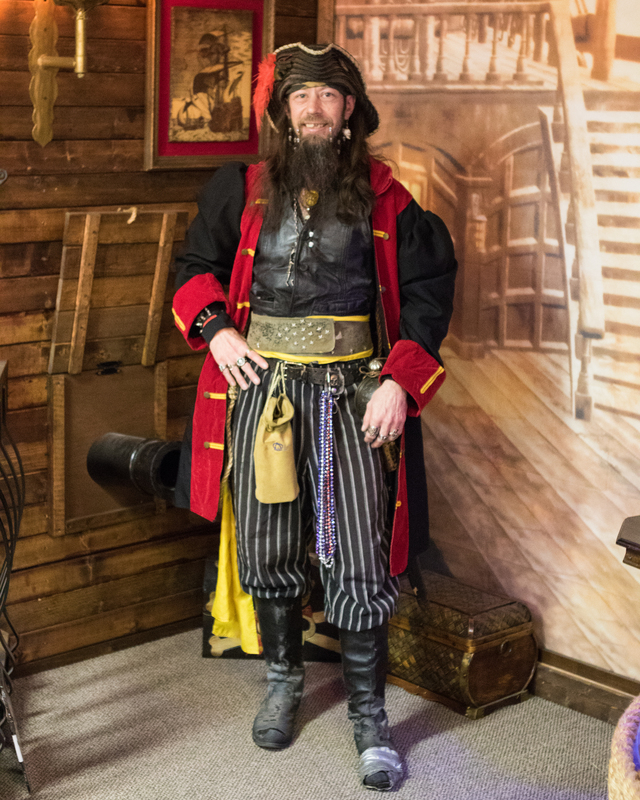 You may see Charles as Louis Michel Aury (pardon his bad French accent if you please), or other real pirates from history, as his interest in the island’s heritage is strong. So when you see Captain Kazimierz Lux at a community event, stop and say “Dzien Dobry” (say /jayn DOH bray) which means “Good Day”. 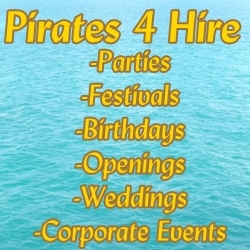 Every day is a Good Day to be a Pirate and every day on Amelia Island is Dzien Dobry! Barbara was born in New Haven, Connecticut on January 18 in a year that will not be mentioned. She attended grade school in Allison Park, PA, Barrington, IL, and Kemper Hall in Racine, WI. She graduated from Libertyville High School and went on to Northwestern University from which she graduated with a BA in History. She attended Boston University School of Law from which she received her J.D. She completed her education with an LLM in Trade Regulation from New York University School of Law. Barbara returned to the Chicago area and spent the next four years working for Kraft, Inc. making the world safe for Velveeta and Miracle Whip. She then moved to Milwaukee and spent the next eight years in the private practice of Law. When a friend took her to visit the White Lake, WI area, she fell in love. She applied for a job as Corporation Counsel for Langlade County, and was offered the position. Two years later she accepted a position as Assistant State Public Defender in Shawano County, WI. Three years later she returned to to private pratice of Law as a sole practitioner. She maintained that practice until she retired on January 1, 2013. 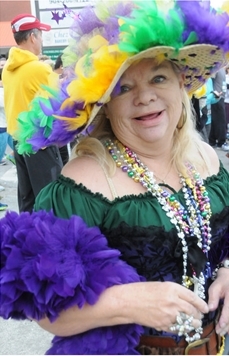 She moved to Fernandina Beach, FL, where she continues to reside. Barbara breeds Oldenberg sport horses. Her horse Freedom, co-owned with her mother, has been very successful in the Dressage arena. Barbara is an active member of St. Peter’s Episcopal Church. 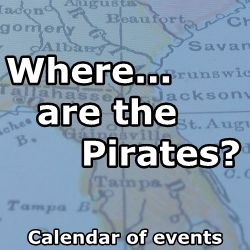 Slappy has been a member of the Fernandina Pirates Club since 2002. When his best friend’s family, who he always felt a part of, moved to Fernandina, Slappy soon packed up his belongings and moved here, too. 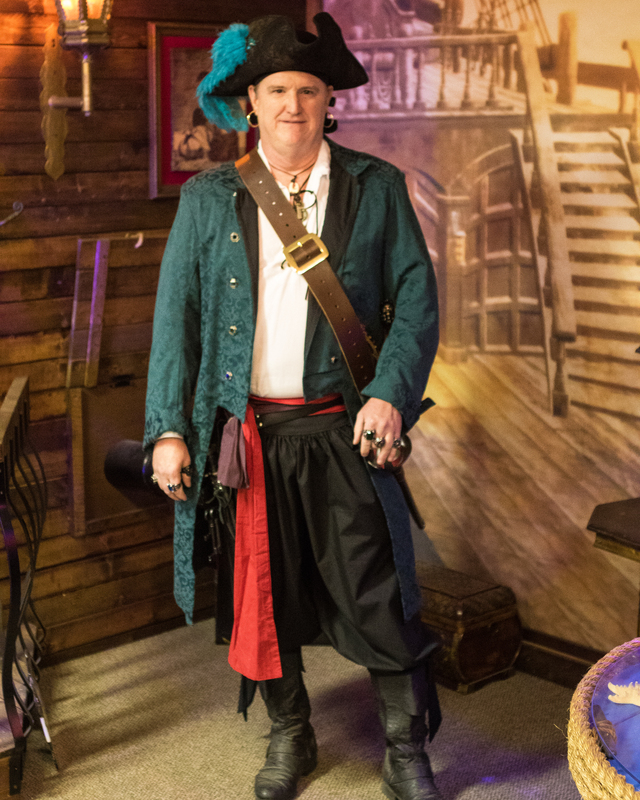 After about a year of learning about our small community, he joined the club after he noticed all of the good things the Pirates were doing in and around Amelia Island. 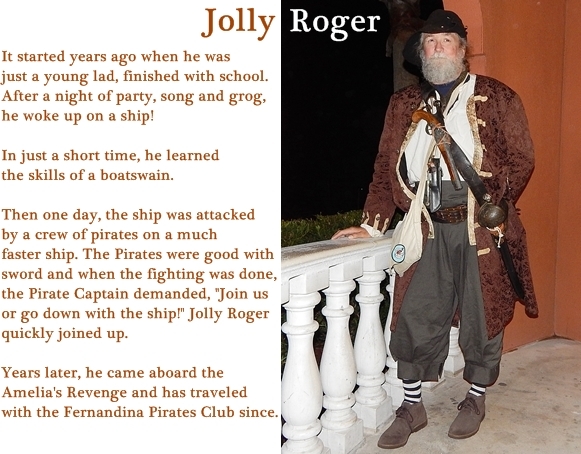 His favorite annual pirate event is Joy to the Children. This is when the Pirates gather, on Christmas Day, to attend a party for economically disadvantaged families in Nassau County. Not only are the children treated to an amazing Christmas dinner and party, but every member of the family is welcomed and made to feel special. The Pirates play with the kids, hand out trinkets, sing along with Christmas tunes, and sit quietly when the Story of Christmas is read. Afterwards, everyone is waiting for Santa Claus to arrive. Once the big guy in the red suit shows up… the pirates go on to celebrate their personal ways, but for the kids left at Joy to the Children, the rest of the afternoon is all about Santa! A transplant from Illinois, Slappy gets a little help from our Pirate Wenches when it comes to costumes, but he loves to shop the thrift stores looking for accessories and other unique items to complete his pirate persona. 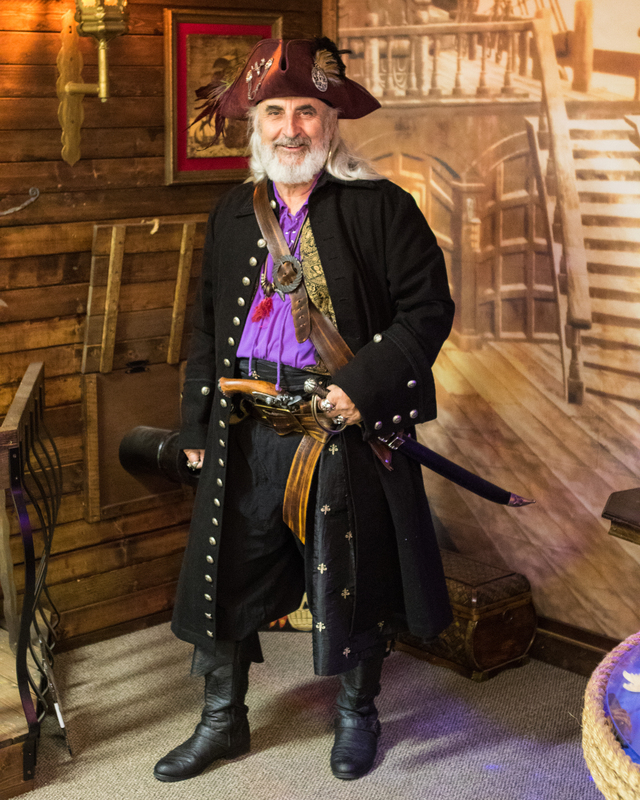 He especially likes to look for pirate gear in historic, Fernandina Beach shopping at Cornercopia and the Ships Lantern, both located on Centre Street. The name Sea Gypsy evokes dreamy and magical places – gypsy caravans, tents, teepees and wonderfully colored pirate ships, a far off distant land peopled by Bohemian characters open to new places, ideas and times. Our Sea Gypsy be like the sea – free and wild. She is a notorious duelist that has earned her reputation with her sharp blade and sharper tongue. She dismantles her target with barbs sharp as a razor and a smile so bright it sets the clouds on fire. She does battle and walks away with nary a scratch. 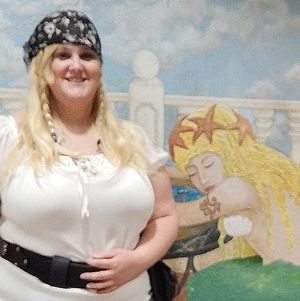 Sea Gypsy travels the world searching for jewels and treasure to let her inner gypsy shine. 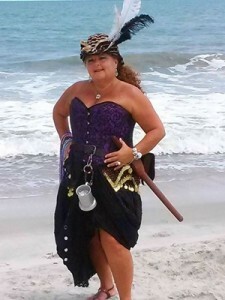 A native islander, she has been a pirate since birth, and a member of the Fernandina Pirates Club since 2012. A transplant from an area near Philadelphia, Maureen moved to Nassau County when she found herself semi-retired, to be closer to her sister. She’s been in Fernandina Beach since 2006. Joy to the Children is her favorite event. 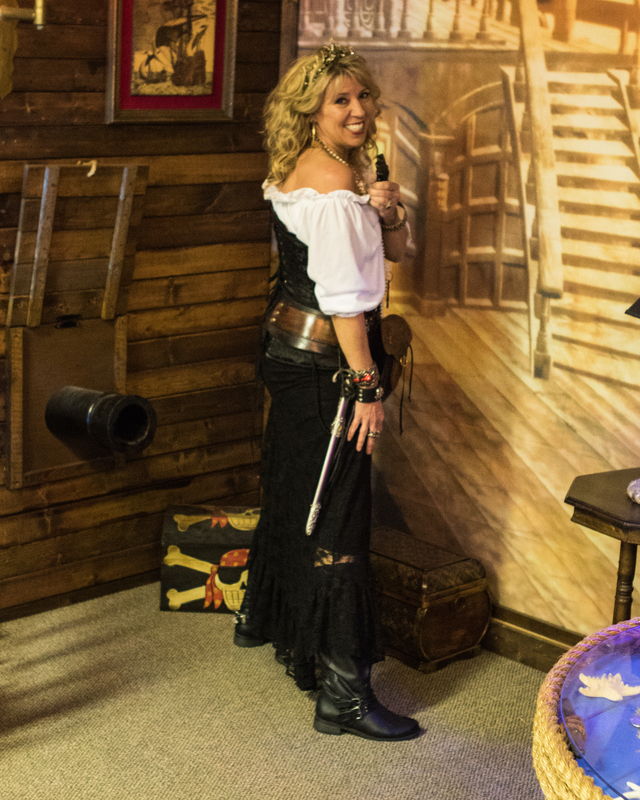 She loves playing with the kids and seeing their laughter at the pirates and their pranks. Maureen doesn’t carry or fire any black powdered weapons, but if you see her on the streets, look out! She is quite handy with a sword! Takara is a Japanese girl’s name. 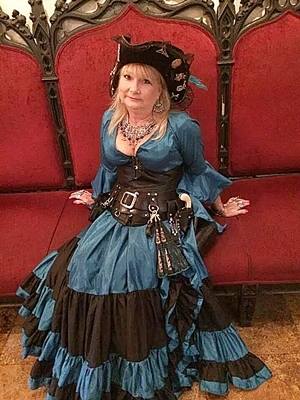 The meaning of the name is “treasure”, “jewel”, or “precious object” – it is not a popular name in the United States, making it unique… just like our fine Pirate Wench. Takara is indeed a treasure to the Pirates Club. She joined the club around the turn of the century and added some much needed color to the group, after all, have you seen her hair? It’s the color of coins, a favorite to these scallywags! 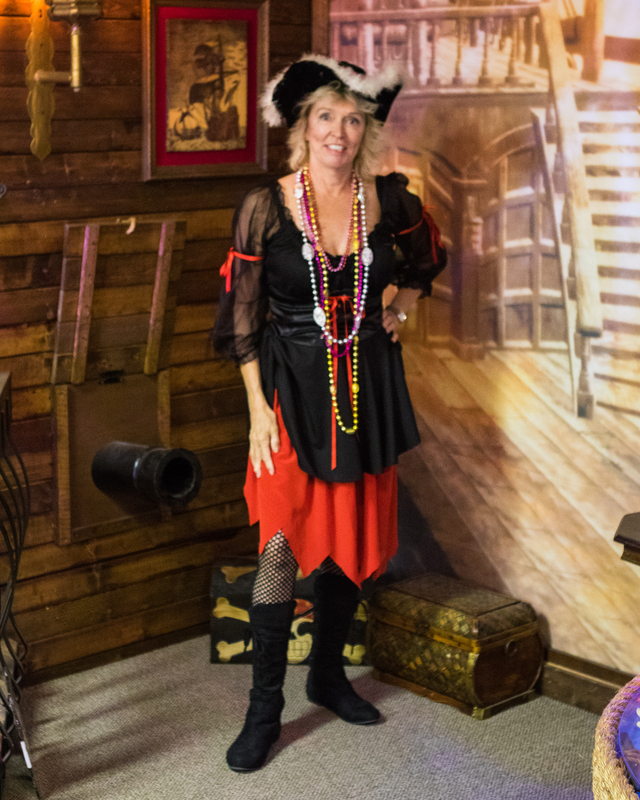 This fine wench enjoys working the Pirate booth at the Shrimp Festival and helping landlubber get fitted for a proper pirate hat. 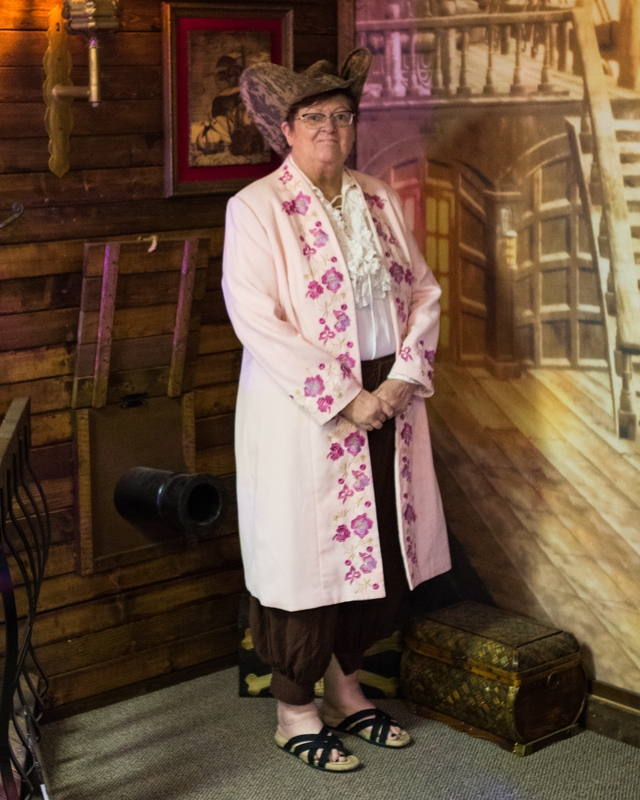 A member of our island community since 2003, she also belongs to the Amelia Island Museum of History. This gives her the opportunity to relive a first-hand account of Nassau County’s rich history and spread it around. 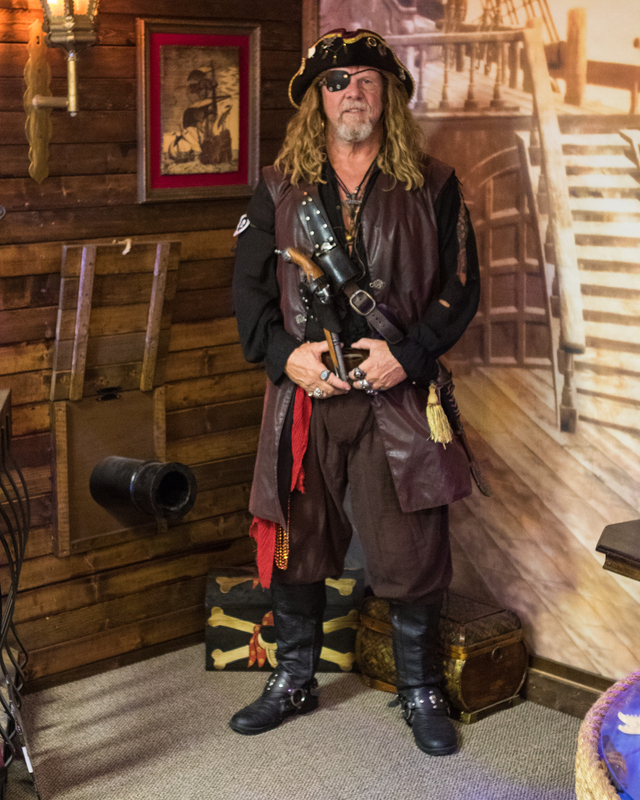 Shooter has been a pirate in Fernandina Beach for many years! She has served on the board of directors as our membership chair for several years. 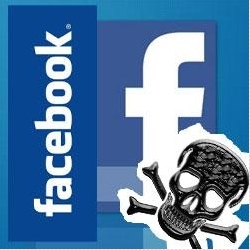 … including teenagers and THAT is no easy task! 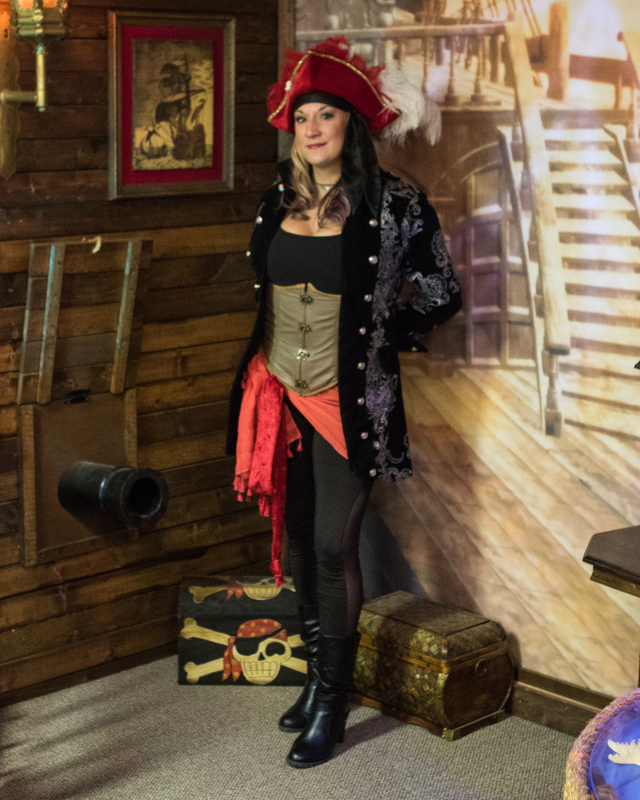 The lovely Tadpole was shanghaied by BJ in 2015 to become a Pirate and we have been thrilled to have her onboard! “Pirates are awesome!” Tadpole claimed when I asked her why she became a pirate. Being a self-proclaimed “Daddy’s Girl”, she admitted moving to the Amelia Island from Northeast Ohio when her father did eight years ago. Since she already has a weird obsession with costuming and accessorizing, Tadpole’s wardrobe is a mixture of hand-me-downs, and items she has in her closet and wears on a daily basis. 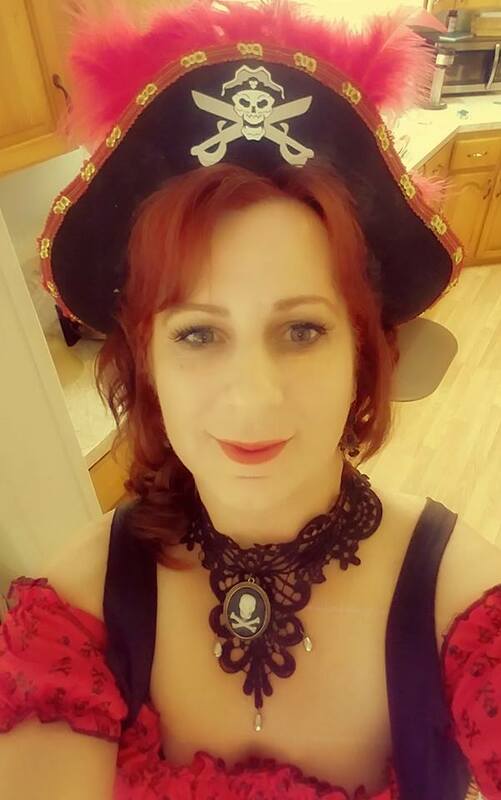 Her favorite pirate activity? 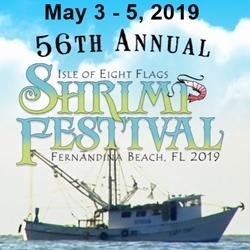 The Isle of Eight Flags Shrimp Festival… the whole darn thing! Ahoy! My mateys call me “Valentine” while others may call me Sandy. Born on the 14th, I’m a love and a poet, but I’ll rob you in a blink and you won’t even know it. I traveled the sea to Fernandina Beach from Massachusetts. Yes, I’m a Patriots fan. It’s okay if you’re not but you may be ordered to take a long walk off a short plank. I come with sarcasm and loaded guns, so hand over your loot and a few bottles of rum. camping, pick pocketing and digging for long lost beach treasures is just some of my many pleasures. One can also just call her Sandy Bottoms. Her sea legs work just fine on the sandy beaches of Amelia Island. Aye, but be warned …what happens on the beach stays on the beach. This Valentine pick pocketing pirate will soon be fostering little pirates. Double the pleasure, double the fun …but the little ones get no rum! If you see her sometime, stop her for a photo. One photo shoot ….for all your loot! RRRR!!!! 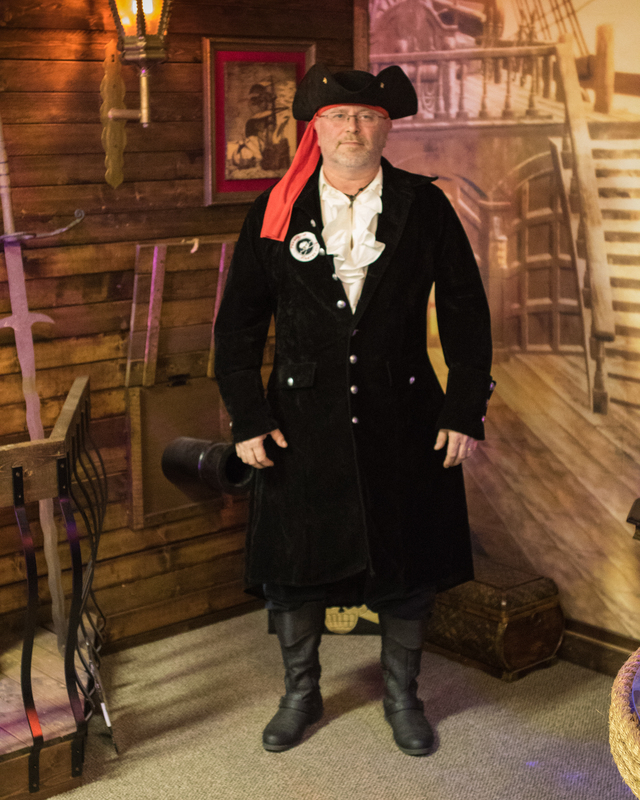 His Mateys call him “Quick Draw” while others call him Greg or Gregory. 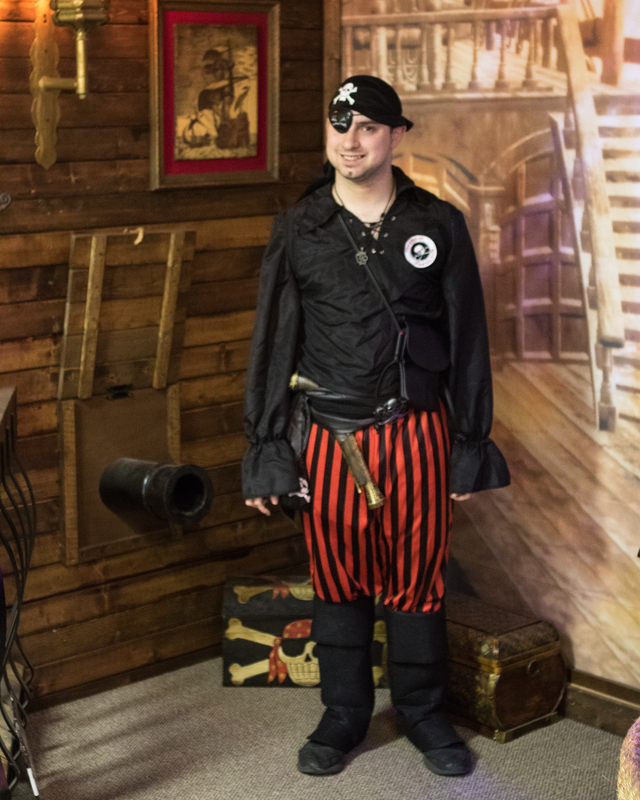 At almost 22 years old, he’s one of our newest and youngest pirates. He graduates this year from the TAP program and is also a charming individual of our Autism community. He is also the son of our lady pirate “Valentine” and her mate “Gray beard”. 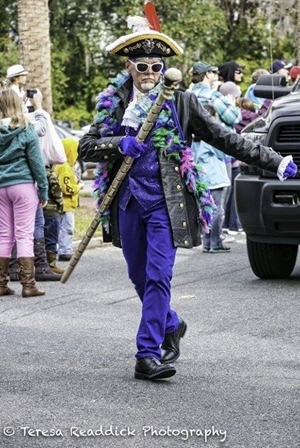 He’s a proud and enthusiastic pirate who loves to draw his gun, hand you some beads… and RRRR! With h…is dazzling smile, he often gets asked for a hug in which he’s so happy to oblige. He’s popular with the ladies and children most. If you’d like a photo with “Quick Draw” he will be the happiest of all mateys to oblige. If you like to dance, he will dance with you. This young one can move to the groove! Diane is from a village in Maine called Bowdoinham, population 2889. She worked for the Navy for 34 years at a DDG (Destroyer) shipyard. She never wanted to live in Florida. 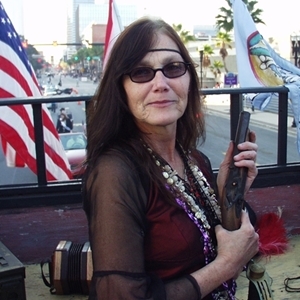 All her time traveling in her RV with her dog and cockatiel was spent out west, Indian reservations, National Monuments, Vegas. She was known to everyone as ‘Diane from Maine’. 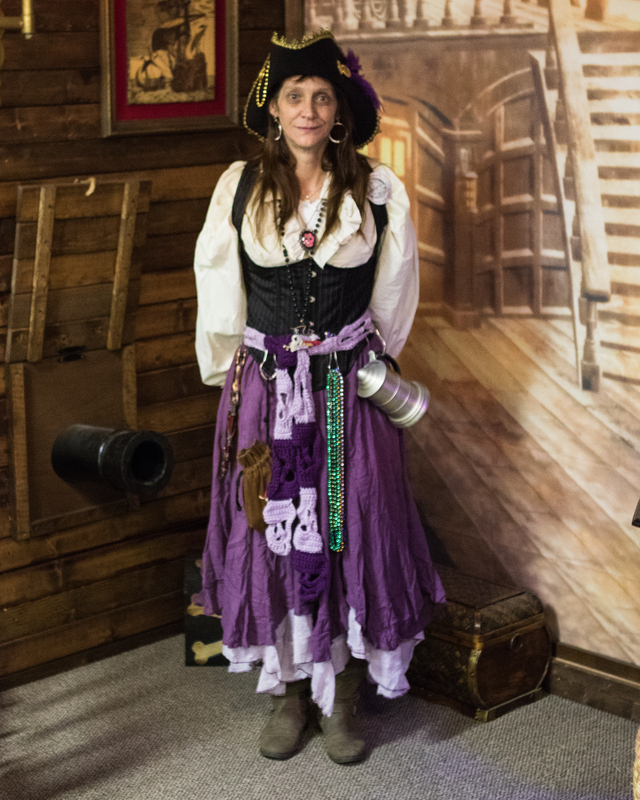 In 2018 a friend in Pirate’s Wood invited her to visit during the Shrimp Festival. 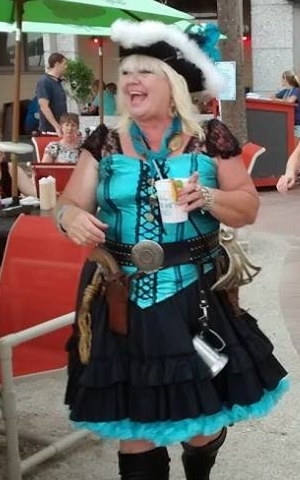 She saw her first Pirate, then more. Too many to be a coincidence. She drove back to Maine, emptied her house and put it up for sale. Two months later she was back for good, in Pirate’s Wood, and became a Swabbie soon after. Meant to be? Arrggghh!